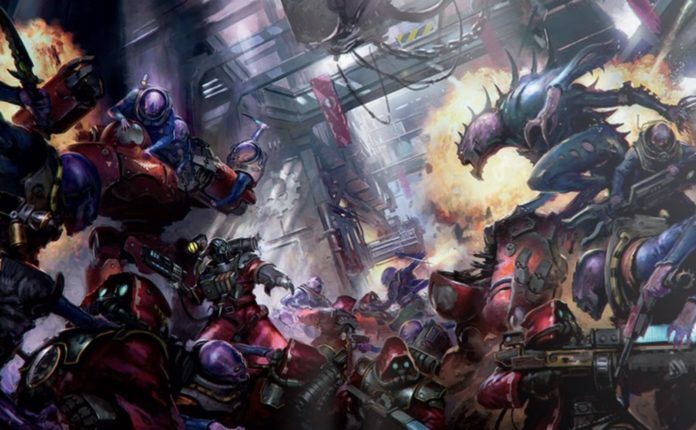 The Genestealer cults codex comes out today, and it’s packed with a ton of useful traits! 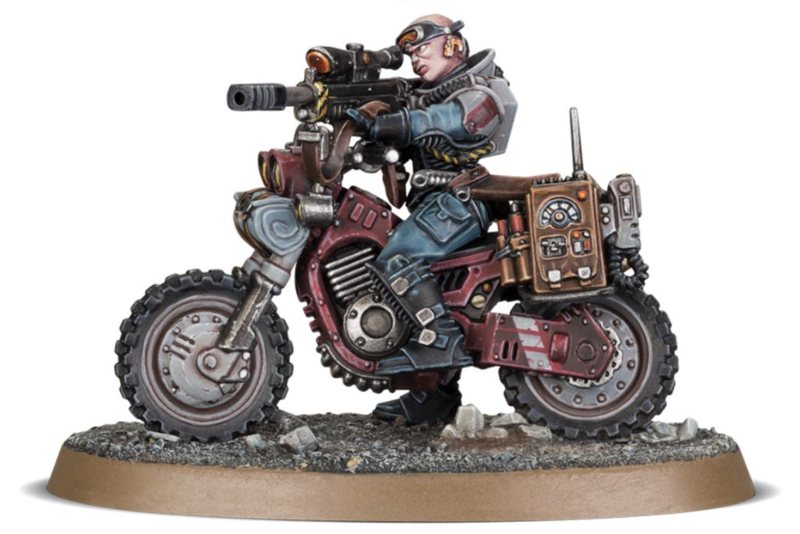 Between powerful units, high mobility, and complex internal synergy with plenty of tricks up their sleeves, this is definitely a shining example of what a codex should be. However, it’s not perfect, and there are still a few small weaknesses as well. So, here is what you can expect from the GSC and their new rules! The CGS has six different cults to choose from, and most of them seem pretty great. The only ones that may be left wanting are Pauper Princes and Bladed Cog. Between cult icons allowing the reroll of 1s and a Primus giving +1 to hit, the benefits of the Pauper Princes are somewhat redundant, especially since Four-Armed Emperor and Twisted Helix also give bonuses to combat armies that are always useful. Bladed Cog would only benefit Genestealers…but Genestealers can’t take traits, so that is fairly confusing. Now we get to the real deal: Four-Armed Emperor, Twisted Helix and Rusted Claw are all amazing. All three have incredible strategems, but four armed emperor takes the cake with a cheaper agents of vect as well as granting amazing mobility to your army out of reserves. Twisted Helix takes aberrants and turns them into possibly the best unit in the book and rusted claw makes your troops incredibly durable. Hivecult is strange in that they play as a shooting army…in a book without great shooting units, and they have the worst cult creed by far. 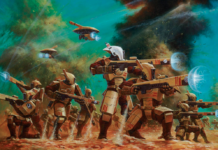 However, there could be a build based around giving enough shooting buffs and combining random units’ firepower into a reasonable shooting contingent of a larger GSC army. 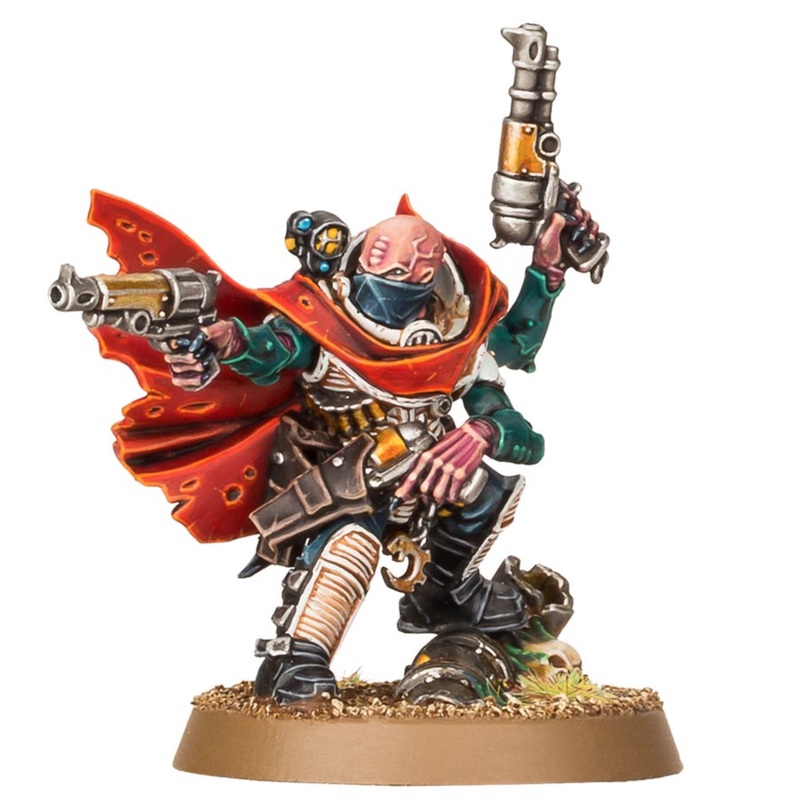 When looking at the genestealer cult strategems, keep in mind that because they have units in every slot that are both very good and very cheap as well as having fantastic troops, starting with upward of twenty command points should be the standard, not the exception. This means that even the expensive strategems get plenty of room to shine. First, the strategems that mess with the ambush blips will see heavy usage. 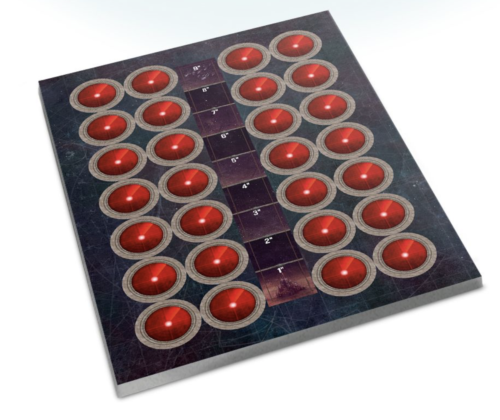 Between being able to deploy extra blips, move them and put them into deep strike it will be incredibly easy to fake your opponent out. Completely clearing off a side of the board your opponent has overcommitted to is an easy and powerful way to punish a poor deployment. 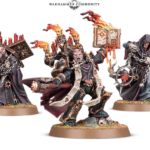 Broodcoven granting warlord traits to a patriarch, magus and primus is fantastic because all three of those units are good enough to be near auto includes in your army already. If you give one of the characters the four armed emperor warlord trait, the stratagem is basically free. Cult Reinforcements is a decent strategy that will really add up if you’re allowed to return acolytes turn after turn. Return to the Shadows is similarly good for multiple uses, allowing your army to constantly redeploy throughout the game as well as use perfect ambush, the best stratagem in the book, later than turn three. Perfect Ambush allows your deadliest units to charge deep into your opponent’s army out of deep strike. 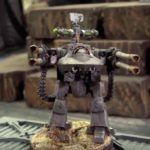 Orks have to hope for an 8” charge but genestealers get to make charges much more easily. Chilling Efficiency is the only reason I think Hivecult might have potential but they probably still aren’t good enough. Finally, A Plan Generations In The Making is a better copy of agents of vect from Dark Eldar. It’s a decent strategy in that army despite its higher price and the Eldar’s historic difficulty in getting more than twelve cp. 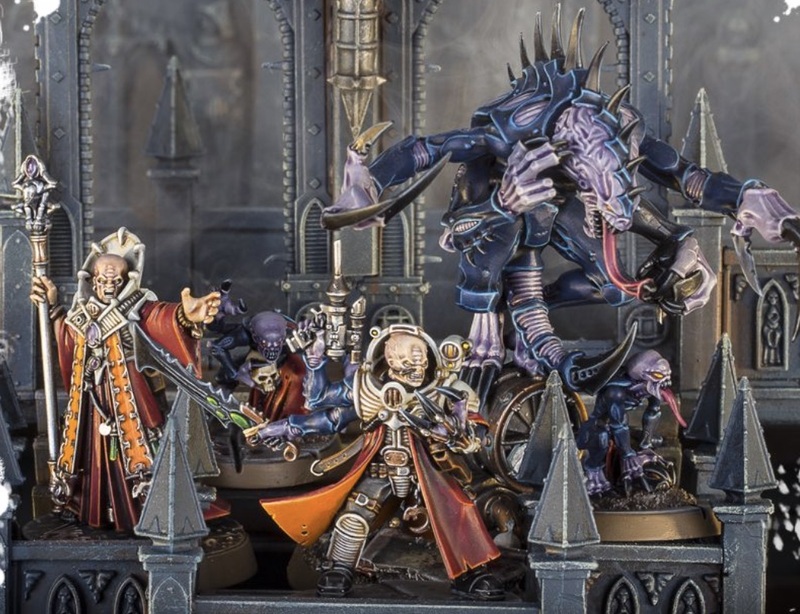 Genestealer Cult has neither of those problems, making this stratagem is a standout. The HQs in this book are pretty great across the board. You can only take one copy of each character per detachment, but that shouldn’t be more than an annoyance in listbuilding. Patriarchs are combat monsters, very quick, and can cast spells. Outside of broodcoven, you’ll also want to take at least one magus because the genestealer cult spells are very good. One of these two should take the crouchling as it is the best relic in the codex by far. The patriarch can be taken with the twisted helix warlord trait and relic to become a wrecking ball in combat. In addition, because of his leadership of ten, he can abuse mental onslaught in a combo I’ll talk more in depth in my follow up article. Primuses round out the top three Hq choices with a pair of amazing combat buffs and the ability to deep strike alongside your combat units. The Jackal Alphus and Acolyte Iconward both have places in your army with decent buffs, although the Iconward really wants to use up a relic slot consistently in order to actually function. You’ll need to take a fair amount of Hqs to make the Cps your army needs so you’ll probably want to take both. The only HQ that leaves something to be desired is the Abominant. 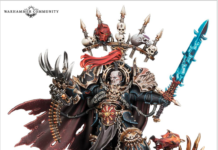 It’s fairly expensive compared to the others as well as being only alright in combat compared to a patriarch and having a fairly mediocre buff and a debuff to enemy psykers that might as well not exist. The troops are also fantastic. Acolyte hybrids hit like trucks and can kill anything in the game in combat. Take Deliverance Broodsurge on them to get +1 to wound and reroll charges. They are fine with just their rending claws although you can take a few rock saws. You only need two or three because rending claws will mop up the remaining few wounds on big units like knights no problem. That keeps them cheap so that they can trade up in points with scary units. While taking hand flamers for every model might seem like a solid plan, melee variants do more damage at a lower cost, and skilled players will likely avoid the overwatch that would make flamers useful. 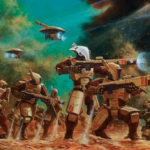 Neophyte hybrids are deep striking guardsmen and that’s great on its own however in cover with the rusted claw trait, they become nightmares to remove. Units of ten can fill out your detachments and provide excellent board coverage. They don’t do great damage, and there’s really no way to fix that…but you don’t have to. Throw some stubbers and webbers on if you feel like it, they’re not too many points. Brood brothers are cheap and if you’re hurting for points you can take them as detachment fillers over neophytes, though that is not typically recommended. Neither dedicated transport is good to take for your troops as they don’t do very much damage, your army isn’t hurting for mobility and they don’t fill a slot. Before the codex dropped, aberrants were incredibly deadly in combat with the ability to kill any unit in the game as well as being surprisingly durable. Now they’ve gone down a bit in points and received some severe buffs in the form of a strategems for 4+ feel no pain and fight twice. Fight twice allows them some serious killing potential as well as some movement tricks. Most importantly, it combines with the strat from anointed throng allowing them to fight when they die because you put your opponent in a pickle. Either they kill the unit and die to their attacks, or they let them live and die to their attacks. In addition, they are a prime target for lurk in the shadows, return to the shadows/perfect ambush, psychic stimulus and might from beyond. Because of the way their power picks work, might gives them +2 attacks instead of the normal +1 and because they’ll almost always be twisted helix they’ll have +2” to their advance and charge with stimulus. 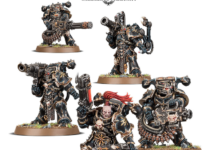 They are my pick for the best unit in the codex, take them. Runner up in my list of best units in this book is the kelermorph. They don’t have as many synergies as aberrants but they pack substantial anti infantry shooting into a cheap package. Deep strike them in the edges of the board to mop up infantry squads. Their ability to shoot characters is icing on the cake. If your opponent messes up, have one pop up with lying in wait and kill an exposed lynchpin character. 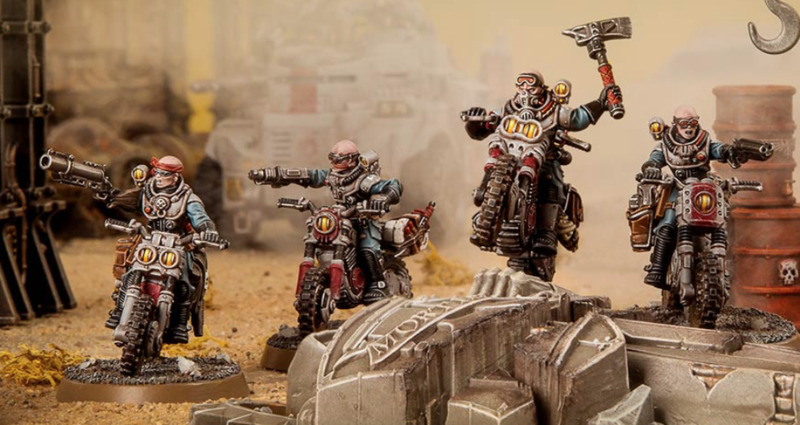 They can also combo with jackal squads alongside a jackal alphus to give the bike squads decent shooting. Take one per detachment. The rest of the elites slots range from slightly to significantly worse. The clamavus is pretty good popping up from deep strike alongside four armed emperor units to give them a 7” charge. The debuffs are mediocre, but the +1” charge is worth it. The sanctus is cute, with the sniper variant being able to double shoot turn one with a free perfect ambush. 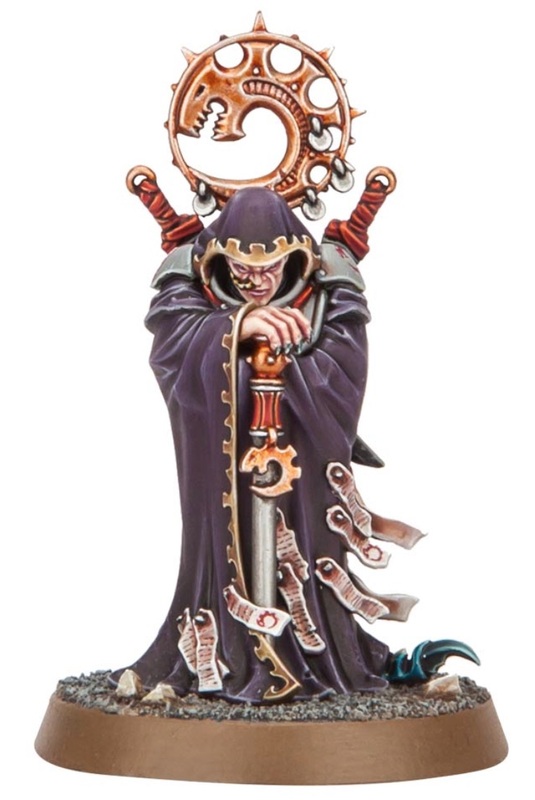 With the relic sniper, he’ll almost certainly put down any psyker he sees but any good opponent will start their important psykers behind a wall neatly countering that plan. In addition, any plan that involves them using perfect ambush after turn one blocks another one of your units from using it. That’s why the value of the close-combat variant is still suspect. It’s such a cool design, but it may not work as well as one would want. The locus is good only in the context of the mental onslought combo so they’ll be addressed later. They’re decent in combat, but nothing to write home about. The Biophagus, unfortunately, feels unnecessary and a may be a waste of points. There are worse ways to spend your points for sure, we’ll get to those in a second, but all they do is buff aberrants in ways that are largely redundant. They already kill everything in the game in combat and +1 toughness isn’t that impactful. Even the extra +1 attack isn’t overly reliable unless you choose a high-cost unit like a Familiar. Maybe the buff will be good once the unit has lost some members, but it is still unclear. Admittedly, in any list with more than twenty or thirty aberrants, this is a must-have. The Nexos also feels fairly redundant. 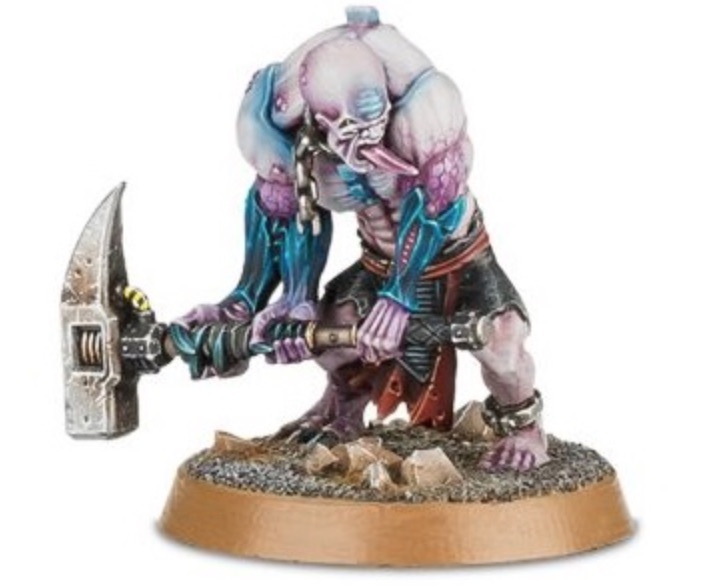 Unless 20+ cp isn’t enough for genestealer cult armies, the Nexos won’t see any play as all he does is cost points and generate one cp a turn. 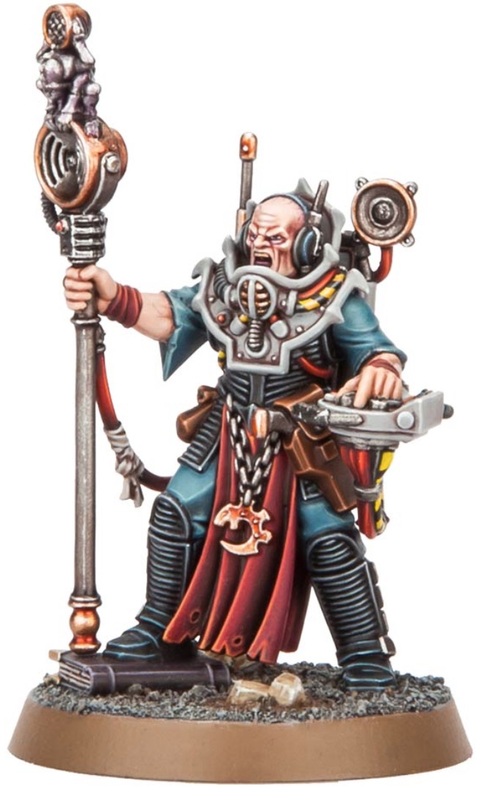 His redeploy is such a minor effect in genestealer cult especially. On from the pointless to the actually bad units. 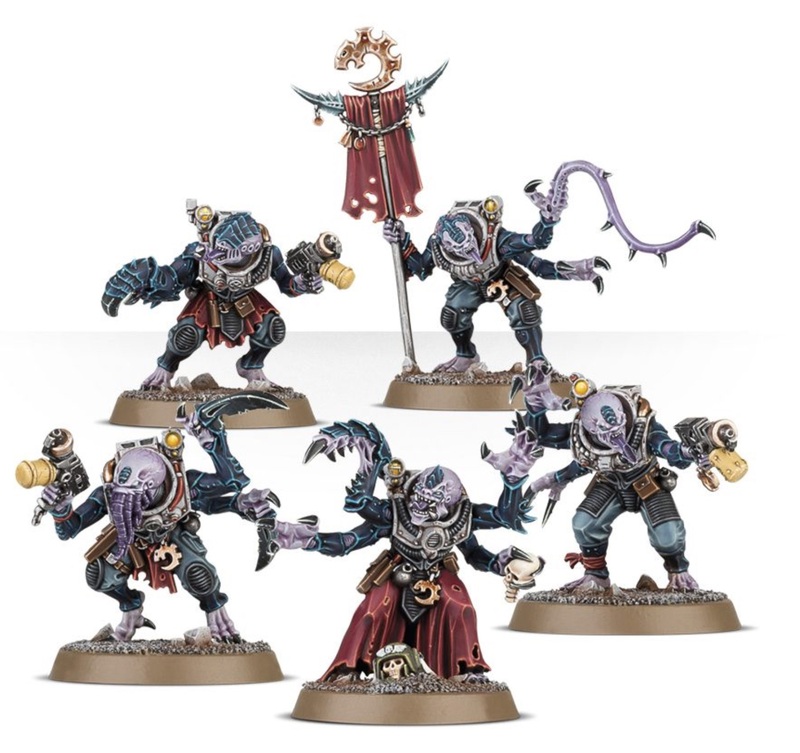 Purestrain Genestealers lack the infinite movement combos of their tyranid allies and are basically acolytes in combat at over twice the price. Hybrid Metamorphs also suffer from the comparison to acolytes. 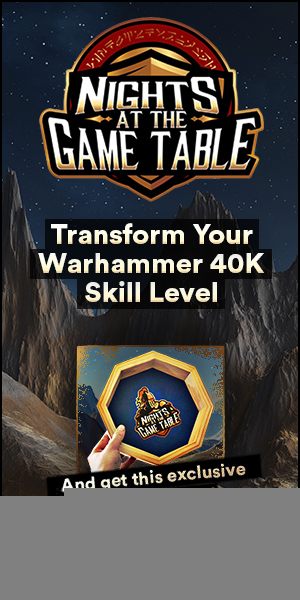 They’re significantly more expensive, not troops and do similar amounts of damage especially since Acolytes can take rock saws and Metamorphs can’t. Neither one offers a significant advantage that would make them worth including. In fast attack, I’m going to discard the two Sentinels out of hand. They basically do no damage, don’t benefit from any synergies and are worse than the other two fast attack options so you’re not even required to take them for brigades. Achilles ridgerunners seem surprisingly decent actually. They would be better if they benefitted from the rusted claw creed, and they have to be accompanied by a jackal alphus to be any good but they have decent shooting and are cheap. The missile launcher is pretty bad but the heavy mining laser and heavy mortar both have uses with the mortar coming out on top by a bit. Chilling efficiency is decent to give them 2+ to hit but that requires you take hivecult. The Jackals are the other choice for fast attack and I think they’re pretty good. They are cheap, fast and durable with rusted claw. The 12” bubble on the alphus really matters with them. Finally, their demolition charge build does significant damage and can be dropped out of lying in wait, and at five points the cost is very reasonable. 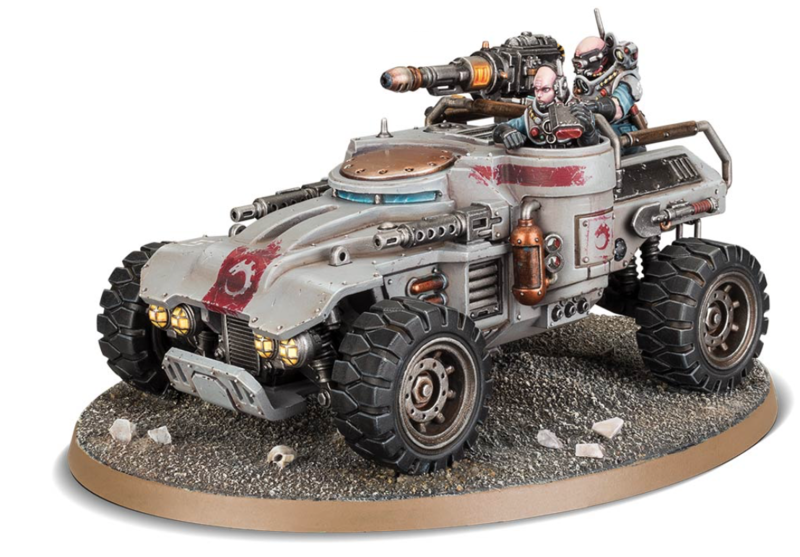 The genestealer cult heavy support slot might as well be called the mortar slot. They’re cheap and provide the kind of harassing long range anti infantry this army very much needs. Take three in your brigade and forget about your heavy support slots. The Rockgrinder somehow shoots worse than the Ridgerunner while still being over 100 points and the leman russ is neither a tank commander for bs 3+ nor a punisher, and they can’t take the emperor’s fist tank company. 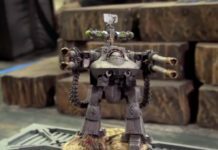 If heavy support had good shooting, Hivecult might actually be a good army…but it doesn’t. Finally, I’m not a huge fan of the tectonic fragdrill. You already have a strategem to put units back into ambush and the drill requires they be in a specific spot on the board. It doesn’t cost cp to do this but it costs cp to include a fortification detachment in your army instead of one that would generate cp. In addition, it’s expensive and its other ability is useless. The GSC doesn’t care if their opponent has a hard time charging their backfield. 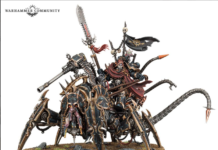 First off, they’re a close combat army so they don’t care as much about being charged and they should be all over the board so the ability doesn’t do anything anyway. In addition the mortal wound ability only triggers once. At seventy-five points and a detachment, the drill seems like a massive dud. 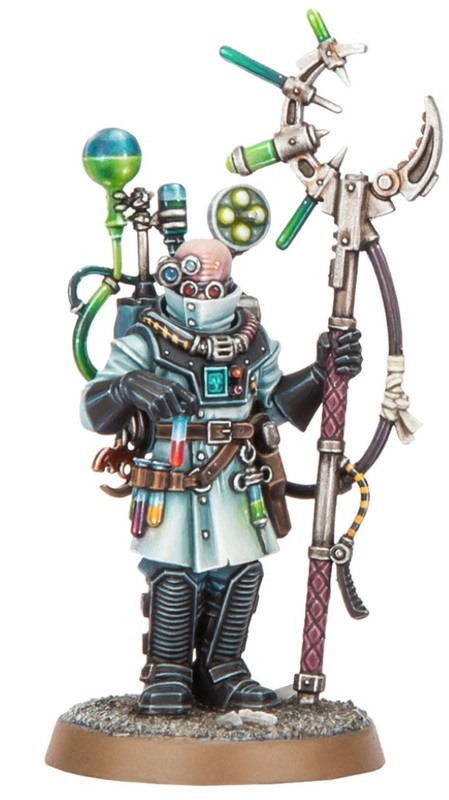 That’s it for the analysis of what’s included in codex genestealer cults. They seem like a very powerful army, definitely top three army material and have a very interesting playstyle. 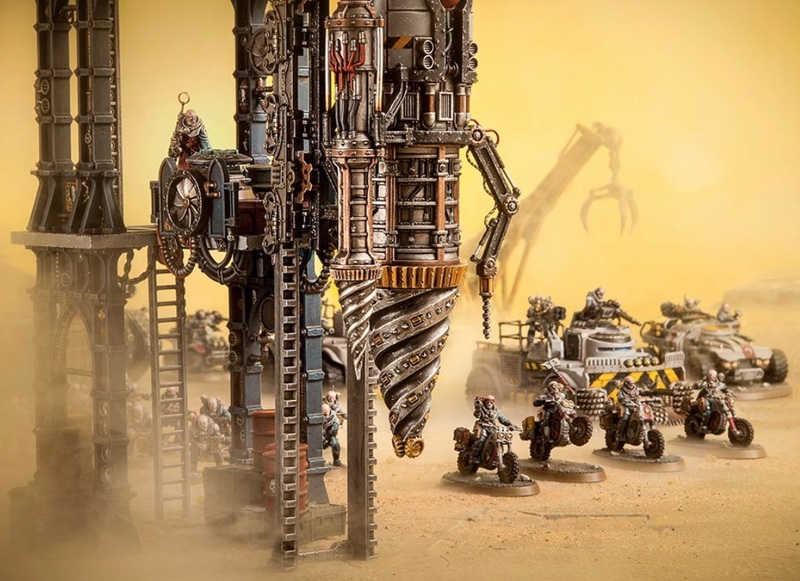 Stay tuned for another follow-up article detailing how to build a competitive Genestealer Cult army and showcasing the list I’m going to start off with and how to use it in your games. It’s definitely a good day to be a GSC player. THE DAY OF ASCENSION IS HERE!